It's time for the first giveaway in the Lucy Maud Montgomery Challenge. As old-timers know, I am always keeping my eyes open for copies of Montgomery titles that I can pass along during the month of January to some of you. In the past few years, it has been hard to find copies of some of Montgomery's non-Anne titles. Most of her books have (sadly and tragically) gone out of print. However, this year several of her titles are being republished and if you have an interest in grabbing them, you ought to do so! I'm glad that her titles are being republished but I think the new cover art is garish. (Exhibit A) I keep my eyes open for old editions. I found a beautiful paperback edition of Jane of Lantern Hill (which looks exactly like the one I have pictured here in this post) that I would love to pass along to one of you. If you are unfamiliar with the story of Jane of Lantern Hill see my review from 2010. I think it is such a fun story. Would you like to win this book? I like to keep things simple around here. All you need to do is leave a comment below, including a valid e-mail address. This contest will be open through Friday, January 16th and is open to U.S. AND Canadian residents. Note (for anyone who checks back): This was not the original winner selected by Random.org but the original one failed to leave a valid e-mail which was requested. Having no way to contact her, another was selected. Note that I really do need a valid e-mail! 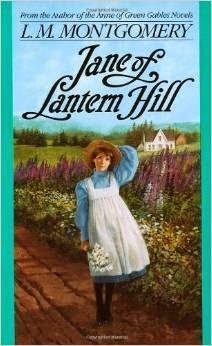 I would love a copy of Jane of Lantern Hill to share with my students. HAVE LOVED LMM BOOKS SINCE I WAS A LITTLE GIRL. WOULD LOVE A COPY OF 'JANE'! I have been following your blog for about a year. I love the way you write your reviews and I enjoy many of the same books you do. I enjoy Lucy Maud Montgomery too and would love to own this title. I know what you mean about the new covers. I ordered a copy of Pat of Silver Bush to read for your challenge (because I owned Mistress Pat, but the not the first of the series). I could only find the version with the new cover. Rather disappointed with that, but I suppose all the words inside are the same! My family would love to have this in our LMM collection. Thanks for the giveaway! I'm not going to enter since I have a copy (though I guess I should start collecting these for my girls). Most definitely agree with you about the new cover. The older one that you posted is much more charming. And I love the fact that you look for good used copies of books for giveaways. Such a great idea! Thanks so much for your reviews and giveaways... I have gotten many good suggestions from your blog. And I love LM Montgomery and thought I had read all of her books.. but not this one! how can this be? msmarthelm @ yahoo dot com. 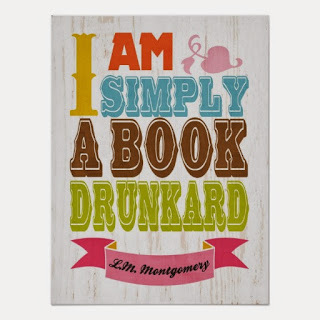 Big fan of Anne of Green Gables, but haven't really had the opportunity to read much else by Montgomery. I haven't read any of these books before, but I'm interested in reading one. Thanks for having the giveaway. I actually haven't even read this one! I haven't read this one yet!